CoreNet Global, the world’s largest professional association for the Corporate Real Estate (CRE) industry, concluded its 5th annual India conference today. 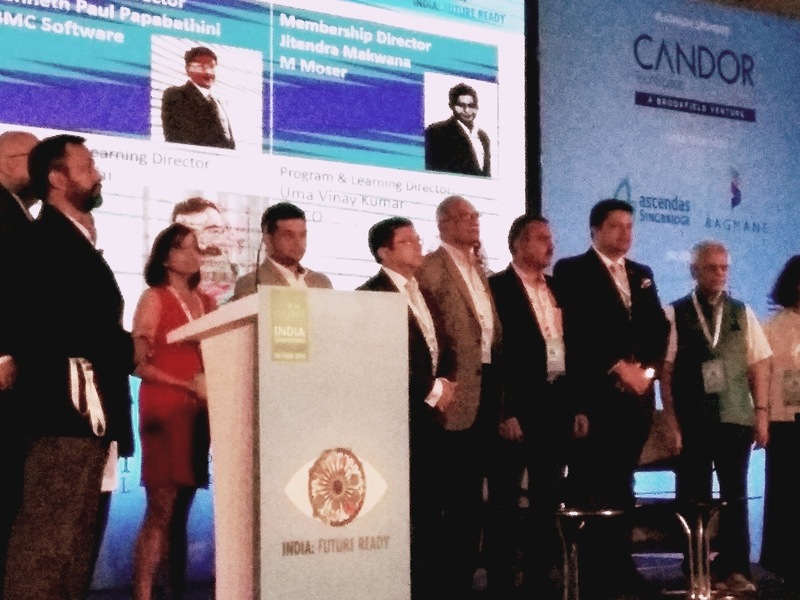 Themed ‘India - Future Ready’ the conference highlighted India's potential in the CRE landscape in 2018. The conference brought together 300 top industry professionals and business leaders to discuss industry trends that are unfolding from private and public perspectives. CoreNet Global – India chapter Co-Chairs Ram Chandnani (Managing Director Advisory & Transaction Services India, CBRE) & Venu Kota- Head & Director Corporate Real Estate, (Visa Inc) oversaw an engaging conference that dealt with contemporary issues regarding digital disruption and the solutions being developed as a result of it. The conference also discussed the values of creating a blockchain ecosystem in corporate real estate space and delimiting CRE boundaries in the digital economy. During the event, participants at the conference discussed the current status of the job market in a VUCA world and its relation to the country’s economic growth. It was observed that India is showcasing a robust CRE demand due to its strong economy. This directed the discussion to explore the causal factors for this situation, including the use of technology to align organizations with customer needs, co-working and agile workplaces that utilse IoT effectively. The rise of a rapidly increasing millennial workforce was also discussed, with the visible shift towards the non-negotiability of employee well-being. The participants concluded that workspaces can no longer be viewed simply as physical spaces and must now take human connections and ‘body language’ into account to design improved workspaces. The event also addressed the role of startups in the disrupting the real estate space, with a specific focus on the investments that they have brought into the country and their ability now to provide technology-based solutions for all customer needs. This phenomenon has been prompted by the end-users becoming more discerning and thereby eliciting a greater need for creativity in physical space utilization. The conference concluded by addressing the role blockchain has and will come to play in developing a secure real estate ecosystem where data utilization can be maximized. “Technology today is an important global driver for innovation. I believe that the CRE community in India fully understands this and has put protocol in place that will enable them to embrace the change technology will bring over the course of life cycle. 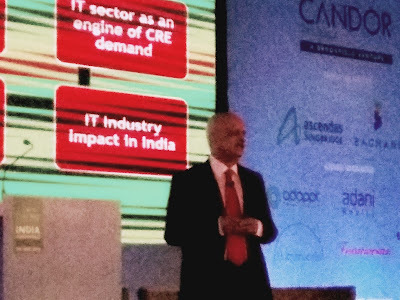 Efforts today are focused on how to manage and streamline space utilization, which over time will help the community overall adapt to changing environments in the future ”, said Ram Chandnani Co- Chair, CoreNet Global- India Chapter and Managing Director Advisory & Transaction Services India, CBRE. “Globally, real estate is a true barometer of a nation’s economic status. In India, the CRE space is being driven primarily by the growth of corporates, especially their business expansion into Tier 2 cities. In fact, 36 percent of the real estate in India is cornered by technology firms, with finance coming a close second. With the service sector employing almost half the workforce in the country, the nature of real estate hiring is constantly changing. However, I believe that by taking advantage of the digital wave in the country, Indian CRE firms will be able to make telling contributions to both the country’s GDP as well as infrastructure growth”, stated R Chandrashekaran, President, NASSCOM.